Born on a farm in southwestern France in 1956, acclaimed chef Alain Ducasse fell in love with food from a young age thanks to his early exposure to the tastes of fresh produce. Though he started out just as a young 16-year-old apprentice at a local restaurant not far from home, Ducasse now has an enterprise with eight constituents – restaurant, hospitalite, manufacture, conseil, education, edition, culture and reception – catering to people all around the world. 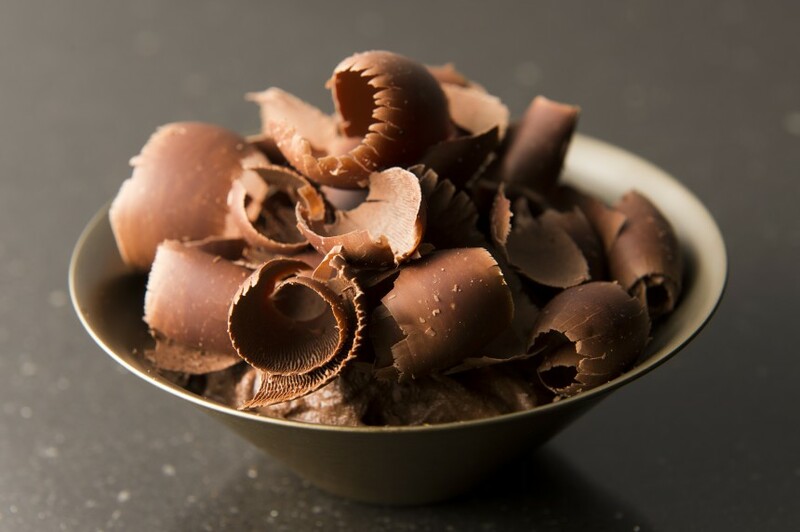 In the 1970s, he was introduced to the world of confectionery and began to cultivate a love of chocolate. However, it took him over 30 years before he could realize his dream which he did by starting La Manufacture, producing his own chocolate for his restaurants in order to have full control over the taste. 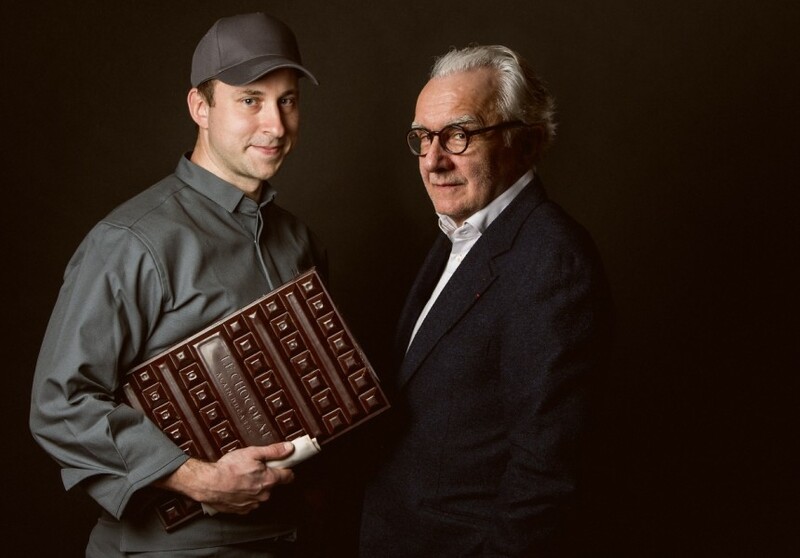 Alain Ducasse has opened restaurants globally from Tokyo to Las Vegas but kept his chocolateries solely in France, until now. Two chocolateries have opened in Japan this year; Nihonbashi in March and Roppongi in April. But what brought Ducasse to make Japan his first stop for an overseas chocolate shop? For over 15 years, Alain Ducasse has been coming to Japan two or three times a year. Through those visits, he has met countless producers, chefs and artists who have deeply impressed him with their sincere attitude, the quality of their work and impressive products. 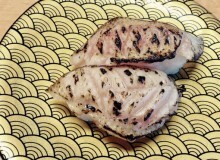 He decided what with the attention that the Japanese give to fine details and how they always pursue only the best, there was no place more suitable than Japan for his first chocolaterie abroad. The chocolate making process starts in Paris with the grinding of the cacao beans themselves. 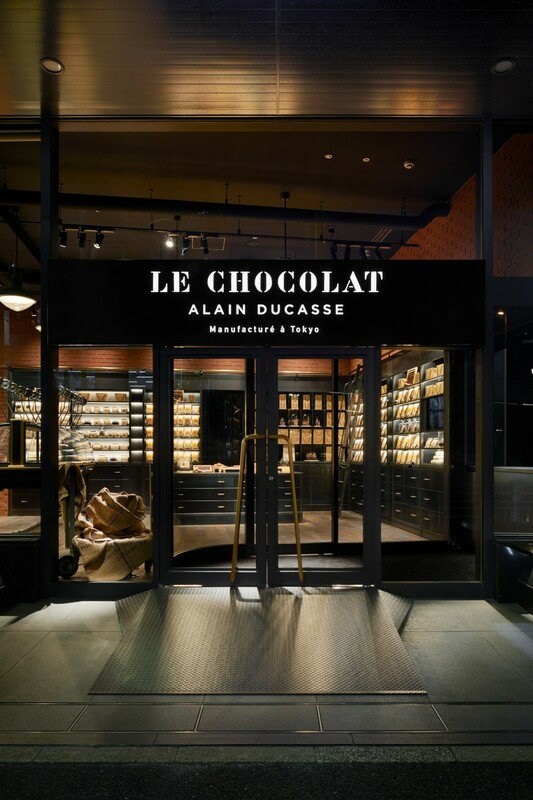 The beans are sourced from various locations but when it comes to bars and bonbons, Le Chocolat Alain Ducasse makes it a point not to mix beans and to keep the personality and individual flavor of each producing country. Le Chocolat in Nihonbashi stores over 20 types of chocolate tablets made in the Paris La Manufacture from over 10 countries with varying cocoa percentages. These tablets are then melted at 45 to 50 degrees, using different machines depending on whether they are chocolate au lait or noir. 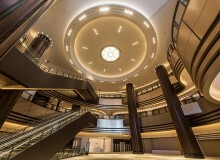 The rooms also maintain controlled temperatures with thick glass, curtains and air conditioners. 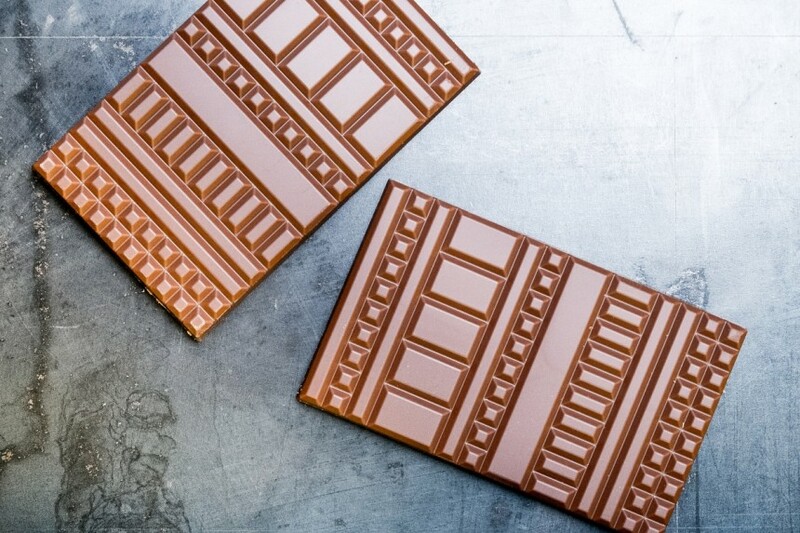 With so much effort being put into the creation of each piece, you might as well call chocolate making an art form. You can buy a variety of chocolate products at either the Nihonbashi or Roppongi boutiques from original bonbons, starting at ¥1500 (not including tax) for three pieces, to an assortment of gateaux. There is also a cafe space set up in both stores, La Salon, and at the Nihonbashi branch you can even overlook the chocolate making process whilst indulging in chocolate and drinks on the spot.